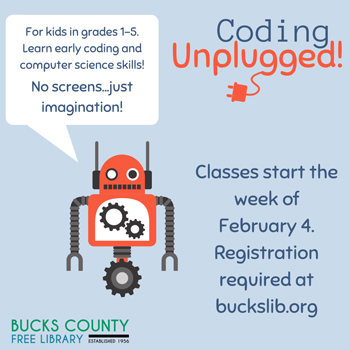 We’ll help your child learn to code without a computer with Unplugged Coding, a free program starting in February for children in grades 1-5. It will be offered at all seven Bucks County Free Library branches. Music is Fun for Everyone! 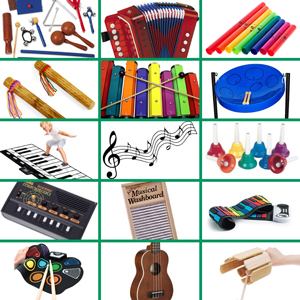 Break out the band with the library’s collection of musical instruments for a variety of ages! Playing music can bring much joy and has the potential to enhance many skills. Try out our Rock and Roll It SpecDrum and Rainbow Piano to learn how to play beautiful tunes with the included play-by-color songbooks. Or check out any of the library’s instruments and musical toys listed below to let your melodious imagination and creativity begin today! [Read more…] about Music is Fun for Everyone! Have you ever wondered how a robot knows what to do? 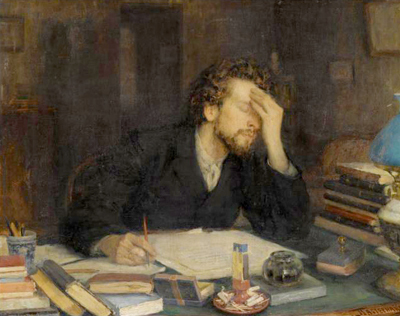 Or how websites communicate with you? 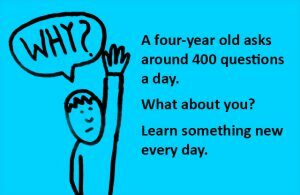 Learn the answers to these questions and a whole lot more … all without ever touching a computer screen! 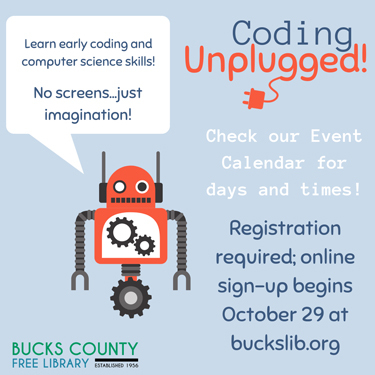 In “Unplugged Coding,” we’ll teach you all the fundamentals of coding through games, crafts, and all sorts of activities, such as building an art robot or making your own Minecraft monster.